Nathan Werner, a native of the Pacific Northwest, grew up on the Olympic Penninsula. 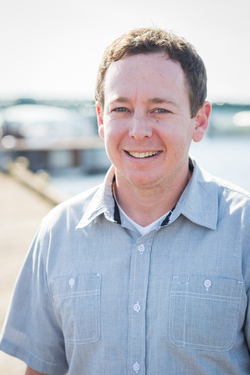 Nathan is a graduate of the Forestry Engineering Department at the University of Washington. His construction experience started the same as Divven, as a franchise owner with The Franchise Company, where he began developing his natural gift for managing people. His franchise was extremely industrious, producing great results and high levels of customer satisfaction all with minimal employee turnover. He moved up within the company to become a General Manager, responsible for the selection, training, and management of twenty franchise owners. His first year as GM, he lead his team to produce $1.5 million in sales with a 91% customer satisfaction rating, making him the second highest producing Rookie General Manager. Nathan has over $2 million in sales and a 96% customer satisfaction rating his second year, ranking him in the top percentile throughout North America, and producing the best results ever seen on the West Coast. He continued his experience as a Project Engineer with Performance Contracting, Inc., the largest wall and ceiling contractor in the USA. He is most proud of a high profile project for Microsoft, encompassing nearly 1 million square feet of floor space and seeking LEED Silver certification. Nathan has achieved all this while maintaining a healthy lifestyle and dedicating time pursuing his passions; skiing, surfing, traveling and spending time with his wife, Paige, and son, Keegan. "I believe a healthy balance in life is the key to success."